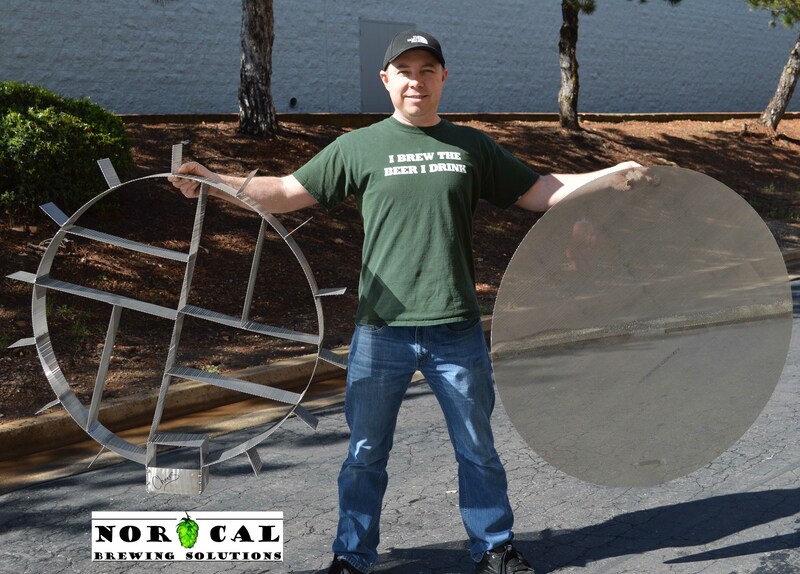 NorCal Brewing Solutions manufactures custom false bottoms to fit just about any vessel or tank. 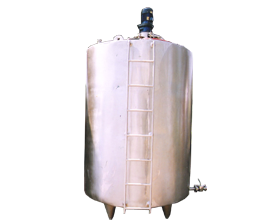 We can engineer, design and build a false bottom with stand of any height (even to accomodate uneven surfaces), exit port and valve setup, and any required fittings to accomplish what you need. Tri clover, welded, NPT, quick disconnect, and cam lock connections are our specialty. 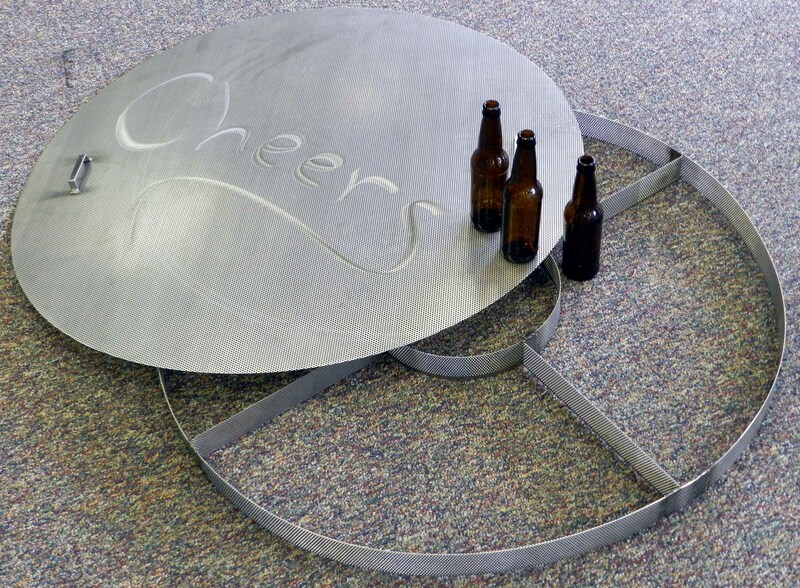 We have designed and built false bottoms for coffee and tea manufacturers, small breweries, large breweries (including Widmer Brothers and Anheiser-Busch), and distilleries. 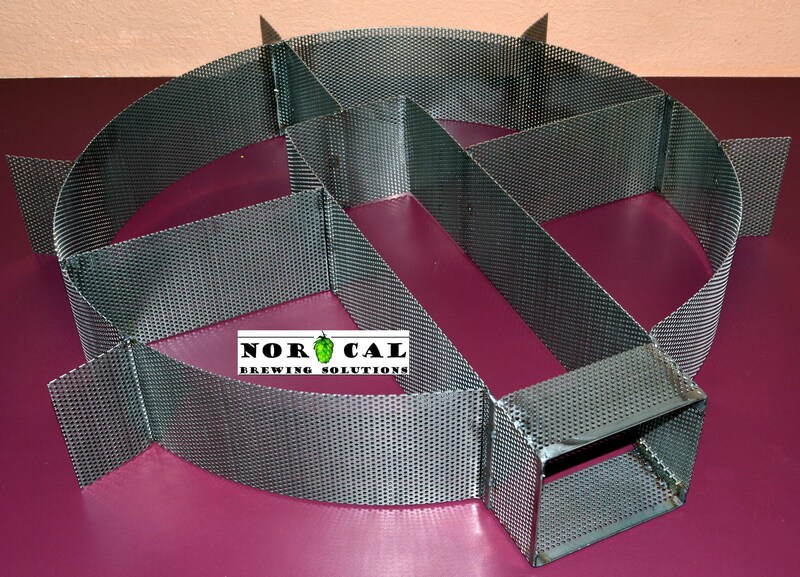 Here are examples of some custom-designed false bottoms we have recently built for customers: CLICK ON THUMBNAIL PICTURES TO VIEW FULL-SIZED IMAGES. 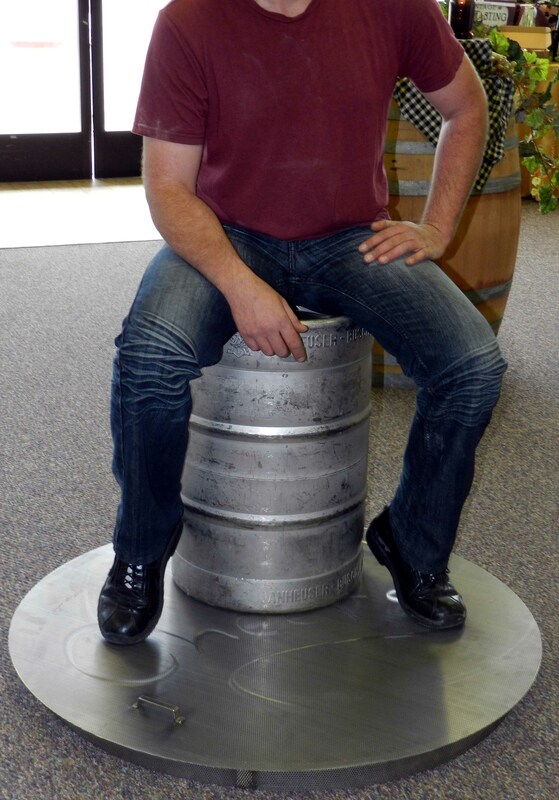 Easily handles the weight of a full-grown man... sitting on a Sanke keg! 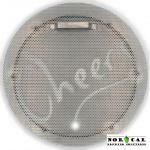 Click HERE to contact us about making a custom false bottom solution for you!